Glazing Tape is designed to meet the rigor conditions of glass sealing and cushioning in window glazing. 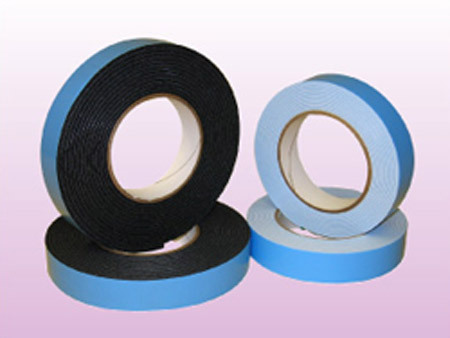 It comes with different thickness and is available in black and white foam, that are laminated with blue PE film liner for easy peeling and tear resistance. The representative models of the line are AAMA test approved. Thickness : 1/32" 1/16" 3/32" 1/8"
Tensile Strength : > 44 lbs/1"x1" > 44 lbs/1"x1" > 33 lbs/1"x1" > 22 lbs/1"x1"